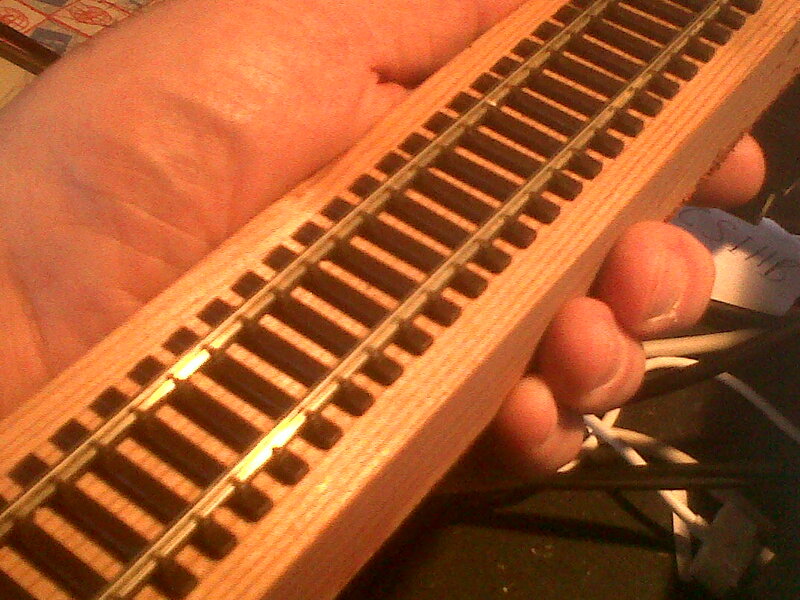 This ballasting business has assumed a pivotal role in the development of this model railway project. Up till now, I had been treating the issue of ballast as an uncontroversial decision revolving around getting the scale of the grain size correct and the colour as near to rust as possible. Any weaknesses regarding colour I would then resolve through the use of cans of spray paint. I'd imagined that I could sort the whole thing out after a couple of definitive experiments with a short piece of test track. You may recall from earlier blogs that I had stated my aesthetic position as being to create the impression of a French railway terminus. What would be important is that the layout looked brilliant. I had no desire to create 100% draughtsmanship in the creation of buildings with every little brick marked out and every window an exact scaled-down size of an actual window. I was seduced by the weathering approach because, although it too sought verisimilitude, at least it eradicated the tendency towards that glossy toy land look. Hence, the ballasting and spray painting efforts of the last few days. But, although I don't think that my first attempt at ballasting (top picture) has in any way captured the rusty/dirt-ridden appearance of the real thing and that I should probably try some more weathering with spray paint, the fact is that I actually like the red textured end result. I believe that my predominantly green or red rolling stock is going to look brilliant running or standing on this red track. The second point, and this is the worrying one, if I get this ballasting decision wrong it is going to be more or less IRREVERSIBLE. Look at the two pictures above and bear in mind that after 24 hours, that ballast is rock-hard. 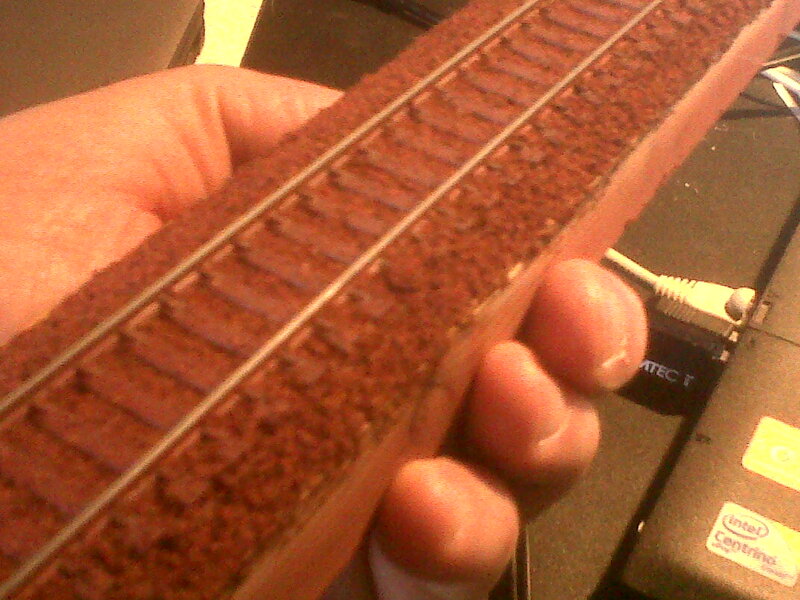 Basically, ballasting destroys a length of track for ever - if you choose the wrong ballast. You cannot extract the track from the ballast and take it back to the virginal state of the bottom picture. So, I have ordered three more styles of ballast to experiment with: two fine grain packets (as before) but in one shade and two shades lighter than the one in the picture; and one packet in medium grain to see what the effect of larger individual grains will be. One cannot afford to make a mistake over the choice of ballasting - it is irreversible and determines the tone of the whole layout. Even if one uses ballast, one is not committed to the weathering criterion, one can still stick to the aesthetic approach. And that is what I will do. The eventual choice of ballast must combine with the trains and the station buildings to LOOK GOOD. So, I will experiment a bit further with ballast but only so as to achieve the desired aesthetic effect not to achieve photographic verisimilitude. Have continued to enjoy the Gram Parsons' biography and with some considerable anticipation dipped into a few song samples on iTunes of the great American singing. What an anti-climax. To my ear, an utterly ordinary country and western voice. I've been fooled before by brilliant wordsmiths describing music - and, no doubt will be again.